Caring for an older loved one who is suffering from physical and/or mental deterioration can be exhausting. Despite this, most people hang on as long as possible in an attempt to avoid placing their loved one in a nursing home. Given the unsettling, and even downright terrifying, news reports that appear on an almost daily basis about nursing home abuse, it is hardly surprising that people will go to great lengths to avoid placing a loved one in a nursing home facility. Fortunately, there are nursing homes that provide competent, caring, and compassionate care to patients; however, it is in your loved one’s best interest for you to remain vigilant and on alert for signs of abuse or neglect. Once in a nursing home, your loved one needs an advocate. To help ensure that you know what to look for, an Albuquerque nursing home lawyer discusses the sign of abuse and what to do if you spot them. If you notice any of these signs, try and talk to your loved one if possible. Sit down with the facility administrator as well and share your concerns. Sometimes this is very productive and leads to an investigation while in other facilities the administration starts “circling the wagons” in an effort to avoid liability. Filing a report with the appropriate law enforcement agency may also be necessary given that elder abuse can be a criminal offense. Finally, consult with an experienced elder law attorney immediately. 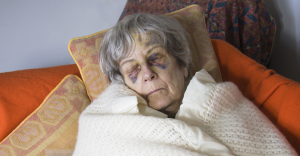 Nursing home abuse can form the basis for a civil lawsuit against the facility for negligence. Furthermore, it may be necessary for you to petition for guardianship over your loved one if the need to move him/her arises. For more information, please join us for an upcoming FREE seminar. If you have additional questions or concerns about nursing home abuse, contact the experienced nursing home attorneys at Morris Hall PLLC by calling 888-222-1328 to schedule your appointment today. What Do Elder Law Lawyers Do? At some point in your lifetime, there is a very good chance that you will need the assistance and/or advice of an elder law attorney, either for your own legal issues or because you are a caregiver for an elderly individual who has legal concerns. Because elder law is a relatively new area of the law, you may not recognize when you need to turn to an elder law attorney. To ensure that you receive the legal advice and assistance you need from the right type of attorney, it is essential for you to know what elder law attorneys do so you will recognize when you need one. The increase in the elderly population has led to an increase in the need for services catering to the elderly, including legal services. 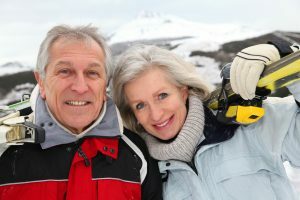 While older individuals face many of the same legal issues that younger people do, they also have some unique legal needs and concerns. With this in mind, the National Academy of Elder Law Attorneys, or NAELA, was formed in the late 1980s as a way to better serve this growing segment of the population. Five years after the creation of NAELA, the National Elder Law Foundation was formed. The purpose of the non-profit NELF was to help improve the professional skills of attorneys who choose to focus on elder law. Toward that end, NELF then developed a national certification program for attorneys known as the Certified Elder Law Attorney, or CELA, certification program. The first CELA examination was given in 1994 with the American Bar Association endorsing the certification program the following year. What Kind of Legal Matters Do Elder Law Lawyers Handle? Each of these issues relates to a different area of the law; however, they may all impact the elderly and those who care for them. Think of elder law in broad terms instead of narrow terms. Essentially, any legal issues that impact the elderly, or those who care for the elderly, would fall within the purview of an elder law attorney. An elder law attorney has made the choice to understand how issues that impact the elderly affect them and their loved ones and how to with those issues from a legal perspective. For more information, please join us for an upcoming FREE seminar. If you have additional questions or concerns about what types of legal matters elder law attorneys handle, or if you think you may need to consult with an elder law attorney, contact the experienced Arizona elder law attorneys at Morris Hall PLLC by calling 888-222-1328 to schedule your appointment today. Most of us have someone we love who is currently enjoying their “Golden Years.” Unfortunately, because of the frequency with which elder abuse and neglect occurs, that means we must be vigilant about watching for the signs of abuse with our elder loved ones. Some of those signs are fairly obvious; however, others are more subtle. To help you keep your elderly loved ones safe from victimization, the Arizona elder law lawyers at Morris Hall PLLC explain how to spot elder abuse and neglect. How Bad is the Elder Abuse Problem in the U.S.? In recent years, the population of older Americans (age 60 and older) has grown dramatically, thanks in large part to the Baby Boomer generation entering their retirement years. Consequently, issues that impact the elderly have gained considerable attention, particularly the elder abuse and neglect problem in the U.S. Compiling accurate figures relating to abuse and neglect of the elderly, however, presents a challenge for several reasons. To begin with, laws relating to elder abuse are changing rapidly across the county. That means that reporting requirements differ significantly from one state to the next, making it difficult to compile meaningful data. Furthermore, victims of elder abuse and/or neglect are often reluctant to admit being victimized because they are embarrassed or ashamed to be a victim, or because they remain dependent on the very people who abuse them, causing them to fear reprisals if they report the abuse and/or neglect. More than half of all Certified Nursing Assistants (CAN’s) in elder care facilities have admitted to verbally abusing, yelling at, and using foul language with elderly residents of care facilities. Any of these could indicate one of the many forms of elder abuse and neglect, including physical or mental abuse, sexual abuse, or financial exploitation. If you believe you see signs of abuse, try talking to your loved one. It may not be an easy conversation; however, attempt to reassure your loved one that he/she is not alone and that elder abuse is a fairly prevalent problem in the U.S. If you have additional questions or concerns about elder abuse and neglect, contact the experienced elder law lawyers at Morris Hall PLLC by calling 888-222-1328 to schedule your free consultation today. Do I need a Guardianship or Conservatorship Over My Mom? We can’t make financial or health decisions for another person without proper planning or a court order. This is true even for our closest of relatives – our parents, our adult children. I recently met with “Bill” who explained that his 80 year old mother’s memory was deteriorating over the last 6 months. It is worse because Bill’s mother had hoarder tendencies. Bill explained that his mother’s home was dangerous because she had kept every newspaper, magazine and financial statement she received over the past 40 years. Bill even noticed a pile of unopened bills and other mail on the kitchen counter. Bill had talked with his mother about his concerns regarding her forgetfulness and safety, and she agreed that something just wasn’t right. Bill took his mother to her doctor and the doctor determined that she was not fit to make her own health and financial decisions. Bill came to me to find out how he could help his mom with her living arrangements, as well as her finances. Unfortunately Bill’s mother had never completed any estate planning documents, and because she lacked capacity, the only course of action to grant Bill the power to help would be to start on a court proceeding – a Guardianship/Conservatorship. The court would rule who is in charge of the person (i.e. health decisions) via the Guardianship and who is charge of the finances via the Conservatorship. The court process of a Guardianship and Conservatorship is time consuming, public, expensive and can be humiliating. The judge will appoint the person who has the best interest of Bill’s mother. For example, if Bill and his sister Susan want to each be their mother’s Guardian/Conservator, but do not want to act together, the judge, in his own opinion, will have to choose which one would act in the best interest of their mother. 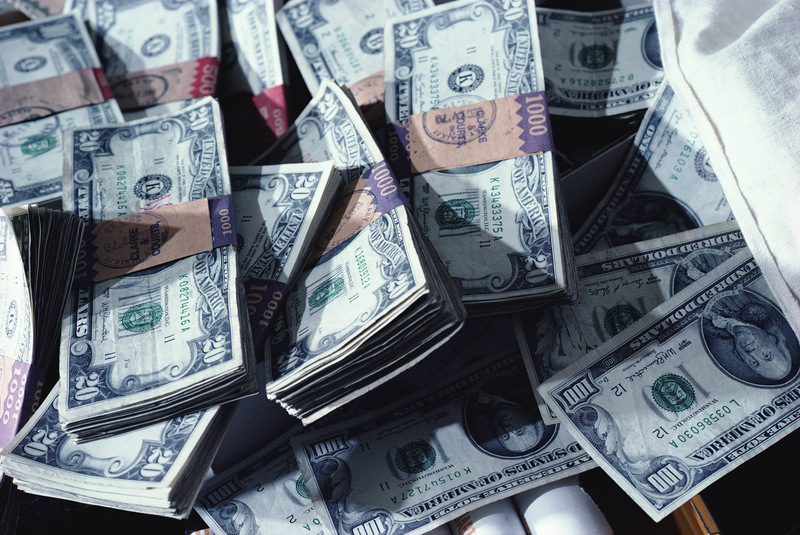 The cost of an average proceeding is approximately $5,000-$8,000. Then on an annual basis, the appointed guardian and conservator is required to report to the court on the status of the incapacitated person – adding more cost. All of this money is coming from the incapacitated person; money that can be better used caring for her. If you are over the age of 18, you must have healthcare and financial powers of attorney nominating an agent who will handle your affairs – a person that you know and trust. If you fail to plan, your loved ones will be forced to initiate a Guardianship/Conservatorship proceeding should you become incapacitated before you pass away. Call us today to meet with one of our estate planning attorneys to get your (or a family member’s) plan in place. Contributed by Morris Hall, PLLC Tucson and Oro Valley Estate Planning Attorney and Partner, Wendy W. Harn. The attorneys at Morris Hall have 100’s of years of combined experience ensuring that families’ assets are protected from probate, unnecessary taxes, creditors, ex-spouses and Medicaid spend-down. Our Arizona offices are located in Phoenix, Mesa, Scottsdale, Carefree, Tucson, Oro Valley, Prescott, Flagstaff and Arrowhead. 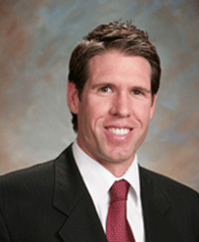 Our New Mexico offices are located in Albuquerque, Las Cruces and Santa Fe. Contact us today at 888.222.1328 to schedule an appointment! The thought of incapacity is unpleasant, thus many people fail to plan for the consequences of incapacitation. Incapacity can be the result of Alzheimer’s disease or dementia, but it can also happen suddenly due to a stroke or an accident. The issues that surround incapacity are not limited to medical decisions; there is a financial component as well. If you are unable to manage your assets and do not have documents addressing incapacity, your family may have to seek a conservatorship from the probate court. A conservatorship is a probate proceeding that appoints someone (a conservator) to control an incapacitated person’s property if they have no power of attorney. The court will order a conservatorship under two general circumstances: 1) if a person is unable to manage his estate and affairs effectively for reasons related to physical or mental incapacity; or 2) the person has property that will be wasted or an estate that will be dissipated unless proper management is put in place. If the incapacitated person doesn’t have planning documents in place, and a dispute arises within the family, the court might appoint a non-family member to manage the incapacitated person’s assets. Creating a power of attorney and putting a living trust in place can address these issues and avoid court involvement. To discuss these or other estate planning issues, contact one of the attorneys at Morris Hall for a free consultation. Contributed by Morris Hall, PLLC Phoenix and Prescott Estate Planning Attorney, Andrea L. Claus. I love my dogs. There have been dogs in my family since the day I was born. And most of the time we have had two or three dogs. They are, and always will be, a part of my family. However, most states, including New Mexico and Arizona, consider pets as property. It is an important distinction in terms of rights and how a pet is treated if you are not around – you get to do with your pet what you want, and if you didn’t make provisions, then the State decides what happens. So planning for your beloved pet is important. Deciding who will take care of your pet if you are unable ensures that your pet will be able to enjoy the rest of their lives. In addition, whether you think your dog will grieve for your loss or not, they will have to adapt to their “new normal,” and that is hard for all of us. The better your plan, the better your pet will be prepared. But this planning can go a bit too far. An Indiana woman made provisions for her dog in her Will. However, her wish was that when she died, her dog was to be euthanized and their ashes are to be mixed. All accounts indicate the dog is healthy, and otherwise would not need to be put down. The good is that the woman made provisions for her pet in her estate plan. The bad is that the woman decided to treat her pet as she would any other piece of property, rather than a living animal. I hope that there was a misunderstanding in the drafting of the Will. The wish to spend eternity with her pet is not out of the ordinary, but it is important to make sure your plan states that this will happen upon the natural death of the animal. But until then, your furry friend will be able to spend the rest of its days with family or friend that you have predetermined would be the best fit. For all of you like me, true animal lovers, make sure your pets are provided for in the best way possible. 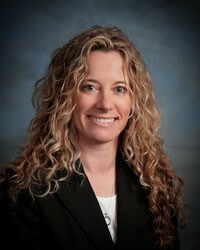 Make your appointment today and discuss with one of our attorneys the best way to provide for your pets. Contributed by MH Albuquerque, Santa Fe and Las Cruces Estate Planning Attorney, James P. Plitz. Which State is the Best State to Create my Estate Plan? The best reason to do your estate plan in Arizona is because Arizona is one of only 9 states that is a community property state. The other community property states are: 1) California, 2) Nevada, 3) New Mexico, 4) Idaho, 5) Washington, 6) Wisconsin, 7) Texas, and 8) Louisiana. The main reason to do your estate planning in a community property state is minimize taxes. There are all sorts of taxes that you need to be aware of-income tax, inheritance tax, gift tax, estate tax, generation skipping transfer tax, state estate tax, excise tax, capital gains tax. The one that we are concerned with avoiding when we talk about a community property state versus all other states, which are what we call separate property states, is the capital gains tax. In a community property state we are able to wipe out any capital gains tax on community assets because we get a full step up in tax basis when a loved one dies. I think an example would best illustrate what I mean by a step up in tax basis. Let’s say that you and your spouse purchased some property in Arizona back in 1970 as an investment for $10,000. Let’s say that that same community assets is worth $110,000 today, in 2014. Your original cost basis in the property is $10,000 and it has now appreciated to $110,000. You have a $100,000 gain in the property. If you sale the property this year for $110,000 then you owe a capital gains tax on the $100,000 gain. In the alternative, had you not sold the property this year, but instead held on to it and died this year leaving it to your spouse and then your spouse sold it for the $110,000 she would not have to pay any capital gains tax on it. This is because the IRS would have allowed her to step up the cost basis in the property from the original $10,000 cost basis in 1970 to the date of death fair market value of $110,000, effectively wiping out any gain in the property. How would this same scenario play out in any other state that is not a community property state? When the first spouse died the surviving spouse only gets a half step up in tax basis on the property. Remember the original cost basis was $10,000 in 1970 and now in 2014 it is worth $110,000, which means a $100,000 gain. In a separate property state the survivor only gets a step up in basis on half the property-$50,000- and therefore has to pay capital gains tax on the other half- $50,000. This is not great planning. If you can choose between having your estate plan done in a community property state versus a separate property state you should choose community property every time. The attorneys at the law firm of Morris Hall have been practicing in estate planning for 42 years. We would love to help you create your estate plan in the wonderful Wild West state of Arizona. Contributed by MH Arrowhead, Scottsdale and Phoenix Estate Planning Attorney and Partner, David T. Eastman. Why is an A/B Trust Important? A married couple can have a Revocable Living Trust with provisions that upon the first spouse to die, the Trust shall be split into an A Trust, commonly referred to as the Survivor’s Trust; and a B Trust, commonly referred to as the Family Trust or Decedent’s Trust. In previous years there were huge federal estate tax advantages in splitting the original trust into two sub-trusts. If you die in 2014, the federal estate tax exemption is just over $5 million per person ($10 million a couple). How many estates do you think are valued over the exemption and are required to pay a tax to Uncle Sam? A very, very, small percentage. Today there often is a misconception that due to the high federal estate tax exemption, there is not a need for a married couple to have a Revocable Living Trust with the A/B provisions. However, aside from the tax perspective, the A/B provisions allow approximately one-half of the estate to have asset protection for the surviving spouse against creditors, divorce and Medicaid spend-down. Not all Revocable Living Trusts are written with the A/B trust provisions. If you are married, does your Revocable Living Trust have the asset protection for your surviving spouse after you pass away? You have a number of options when it comes to estate planning, so why pick Morris Hall? First off, estate planning and asset protection are a very complicated endeavor and you should only trust someone who focuses exclusively on those matters. Also, MH is a proud member of The American Academy of Estate Planning Attorneys (AAEPA) which provides us additional support, advanced training, tools and information that is not available to others – which means that we can better protect your assets and your loved ones. We are one of only two firms in Arizona that belong to the AAEPA and are the only firm in New Mexico that has been granted membership. If you have assets and loved ones that you want to protect, you are in good hands with MH. Contact us today at 888.222.1328 to schedule an appointment! Your Legacy – What can you do? I had the pleasure of meeting and talking with Nicole of the American Cancer Society (“ACS”). I knew they did great things, but after my conversation, I was breathless. What ACS does in terms of cancer research is phenomenal, but what ACS does for the individual and their families who are struggling through the disease is beyond description. From providing housing, to helping navigate through the hospitals corridors, to providing counseling services, ACS does so much! What really hit home is the reliance ACS, and all of your favorite charities, has on all of us. And what you are able to give each year is fantastic, and very much appreciated. However, as Nicole pointed out, that giving stops when you pass away. And in the majority of estates that I have planned for, there is nothing that ends up with your charities. It seems that when it comes to beneficial distributions at one’s death, people would rather the funds, no matter how big or how small, go to their second cousin, once removed. Let me give you an example. Joe and Mary Smith have a modest estate of $400,000. They have two children, and a couple grandchildren. The children are doing well (they are no Bill Gates, but they are comfortable). The Smith’s estate plan is typical: Upon the second death, they will split the $400,000 between their two children. This is a nice gift. However, if they had left 10% to the American Cancer Society, and then gave their two children 45% each, the impact on the benefits to their kids is minimal (they would get $180,000, rather than $200,000), but now the $40,000 to ACS can make a real impact on real people’s lives. They have now made a difference. They have now made a legacy – one which their entire family can be proud! What can you do? You can think about your favorite charity – the ones that you support today, or the ones that you feel really make a difference. Then come in and talk with one of our estate planning attorneys to discuss the best ways to achieve the creation of your legacy.